De Quervain’s tenosynovitis is a painful condition which affects two tendons (the abductor pollicis longus and the extensor pollicis brevis) on the thumb side of the wrist. These tendons sit side by side and pass through the synovial tunnel near the thumb. The synovial tunnel is lined with a slippery substance known as tenosynovium, which helps the tendons glide easily as they move the thumb. Inflammation of the tendons and tenosynovium is known as tenosynovitis. In de Quervain’s tenosynovitis, the inflammation affects the movement of the thumb. De Quervain’s tenosynovitis is usually caused from overuse or poor hand and wrist posture. Repetitive thumb motions such as pinching, squeezing or grasping can also cause the condition. So too can holding your hand at an angle which compresses the tunnel and rubs the tendon. A physical examination of the area is the first step in assessing de Quervain’s Tenosynovitis. 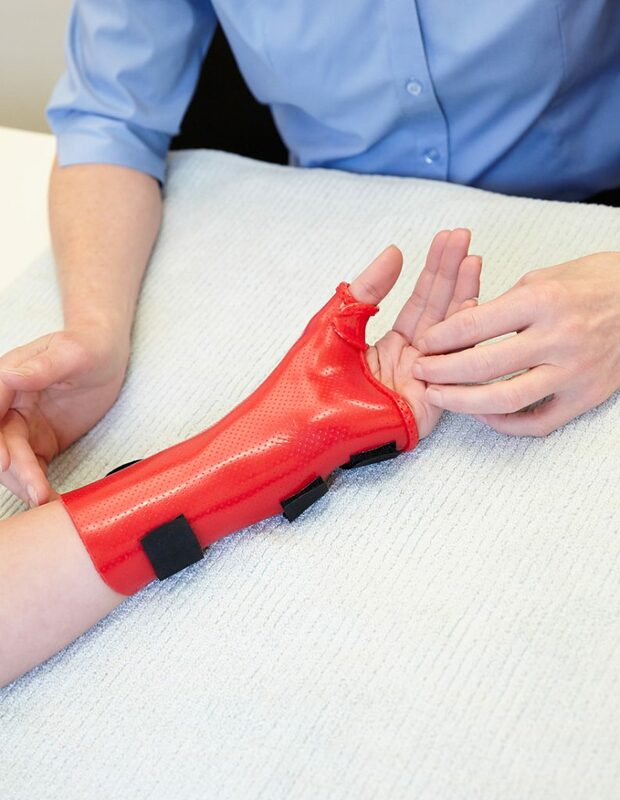 From here, your hand therapy practitioner will probably conduct specialised tendon testing. An Eichoffs test, or Finkelstein’s test is one way to determine if you have de Quervain’s tenosynovitis. This involves bending your thumb down across the palm of your hand, and then covering your thumb with your fingers. You will then be asked to bend your wrist toward your little finger. A WHAT test is another, way of testing the same tendons. In this test you will be asked to gently press out against the examiner. If either of these tests causes pain, you are likely to have de Quervain’s tenosynovitis. 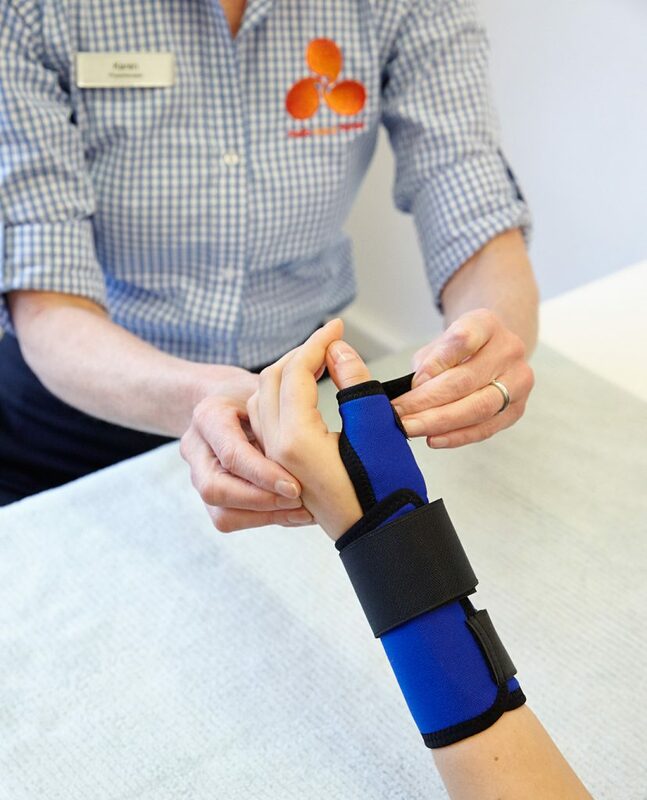 If you have de Quervain’s Tenosynovitis, consult one of our hand therapy practitioners today.